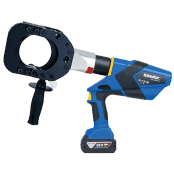 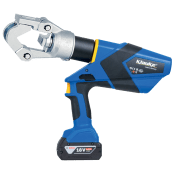 Cable cutting and crimping tools manufactured by Klauke are renowned for high-quality, electrical connection tools for cable crimping, cutting and punching – special cable tooling solutions for applications in a range of different sectors. 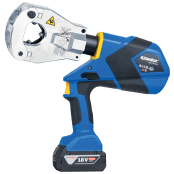 Klauke tools are used by cable jointers and linemen for underground cable and overhead conductor crimping and cutting on power, transmission and distribution networks including LV MV & HV systems, 11kV-33kV up to 132kV. 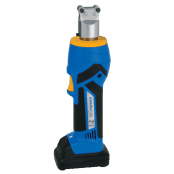 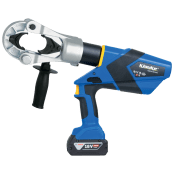 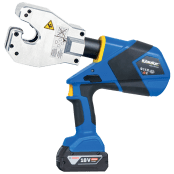 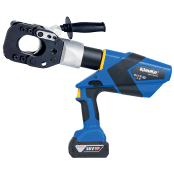 Battery operated cable crimping tools are made from the highest quality materials, rust proof and surface finished with a reputation for providing a long service live, consistently delivering safe electrical cable crimping connections for low and high voltage applications, 6-400sqmm. 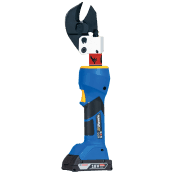 See also: Cable Cutters – Battery Type. 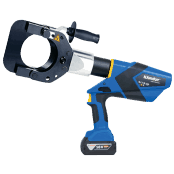 Battery type tools are preferred for repetitive application of cable crimp connectors and routine cutting of MV-HV cables, single or multi-core copper/aluminium conductors, armoured/non-armoured with lead sheath and copper tape or wire screens – compatible with all common MV-HV cable insulation types (XLPE EPR Paper), contact us to discuss your application. 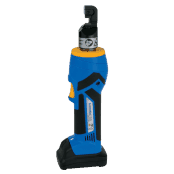 Although, voltage classification terminology has international variations Medium Voltage is a category defined by IEC as including cable voltages of above 1kV and up to 100kV, including European standard voltages of 11kV and 33kV. 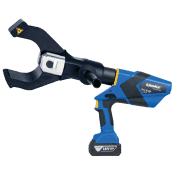 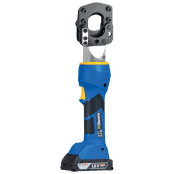 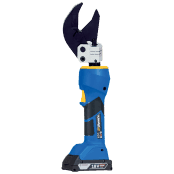 Thorne & Derrick provide competitive prices and fast delivery from stock for the complete range of Klauke cable cutting and crimping tools.